Yesterday, we lost a true legend although I doubt that he thought of himself as such. For those of us who came of age in the fifties and sixties, it is impossible to remember the world without Pete Seeger’s music. Whenever there was a hootenanny, a song fest, a music festival replete with banjoes plinking and guitars strumming, there was Pete Seeger. In fact, without Pete Seeger and his original group, the Weavers, folk music as an integral part of twentieth century culture might never have come to be. 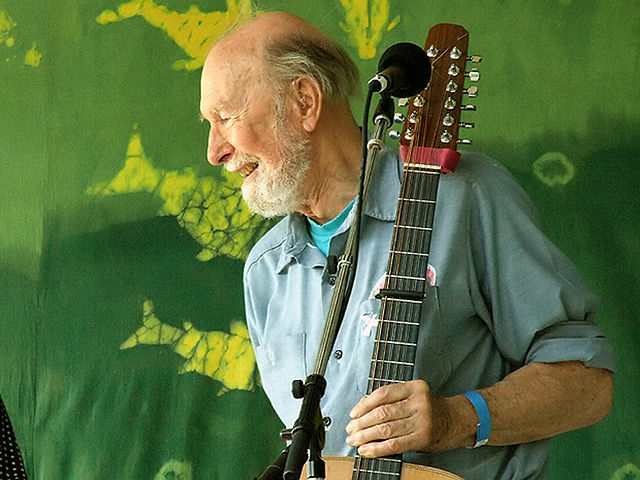 Pete Seeger, however, was much more than a singer: he was a storyteller, first and foremost; an environmentalist; a political activist; an advocate for the rights of all men. Moreover, he did not just stand for his principles; he went to jail for them and was blacklisted from performing because of his political associations. I could make a long list of the hundreds of songs that Seeger recorded in his lifetime. I could make an even longer list of the “covers” that were recorded of his songs by Judy Collins, Buffy St. Marie, Arlo Guthrie, Bob Dylan, Joan Baez, and nearly every folk-connected musician of the time period. However, I think it is more important to portray the multi-dimensional man through books about him and his causes. As you look at this list of books, somewhere in your mind, you will hear the plink-plink of a banjo, the strum of a guitar, and that familiar rusty voice singing We Shall Overcome. It will become an earworm, but one worth “listening” to as it evolves into a catalog of Seeger favorites. 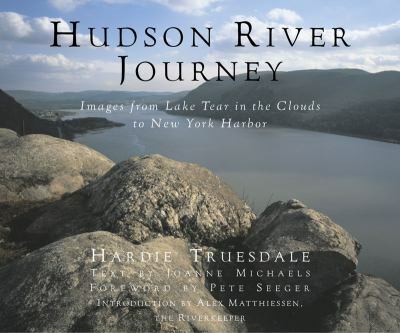 Hudson River Journey: Images from Lake Tear in the Clouds to New York Harbor, photos by Hardie Truesdale and text by Joanne Michaels. Foreword by Pete Seeger. 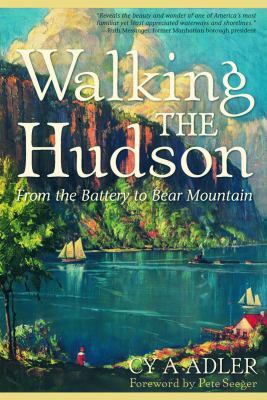 Walking the Hudson: from the Battery to bear Mountain: the First Guide to Walking the First 56 Miles of the Hudson River Trail, by Cy Adler. In the 1970s, the Hudson River was a chemical disaster. Fish and animals could not live in the river. The environment surrounding the river was being destroyed by pollution and chemical dumping. Seeger led the movement to clean up the river and make it available to people in New York as a recreational center, again. In 2002, he was honored for his work as an Environmental Hero. These books show you the reclaimed river and what Seeger worked so hard to save. 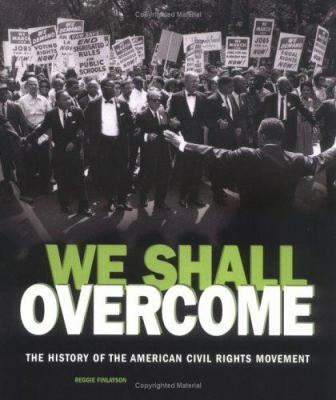 We Shall Overcome: The History of the Civil Rights Movement, by Reggie Finlayson. 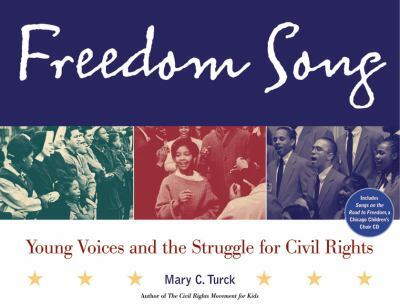 Freedom Song: Young Voices and the Struggle for Civil Rights, by Mary C. Turck. February is Black History Month, and it is particularly relevant that we remember the place that music held in the marches and demonstrations to the Civil Rights movement. Frequently, the songs sung were revived gospel and spiritual music that had a place in African American history. Always, at the front of the Civil Rights demonstrations were singers like Harry Belafonte, Joan Baez, Odetta, and Peter, Paul and Mary. These were the songs played and sung from the bridge in Selma, to the Reflecting Pool in front of the Washington Monument, to Washington Square in New York. The songs carried the message: we shall all be free. Pete Seeger’s Storytelling Book, by Pete Seeger. A gem of a book for any beginning or proficient storyteller. 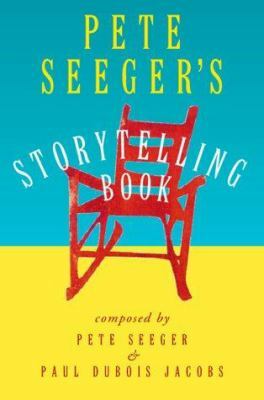 Not only does Seeger share his favorite tales and practiced storytelling techniques, he also ends the book with a wonderful chapter of story beginnings with no ends. The purpose of the chapter is to give young or new tellers a jumping off point to create their own stories. As Seeger reminds you, people don’t come to hear a story; they come to hear the storyteller. The important part of telling a tale is what the storyteller brings to the performance. This is a bible for new and developing storytellers which is becoming a lost art. 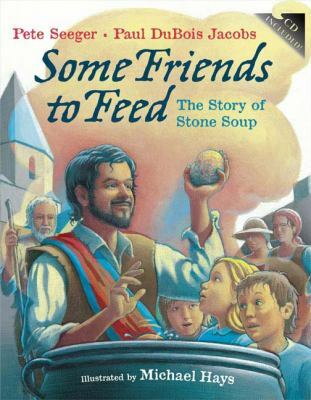 Some Friends to Feed: The Story of Stone Soup, by Pete Seeger and Paul Dubois Jacobs, with illustrations by Michael Hays. You may have heard this story told by Marcia Brown or Heather Forrest (my personal favorite). It is a famous old tale of two itinerant soldiers wandering through a German village trying to cadge a meal from the unfriendly villages. When no one offers food, the soldiers use it as a lesson in sharing with your fellow man by making a broth out of stones and encouraging the villagers to share what they can for a community meal. 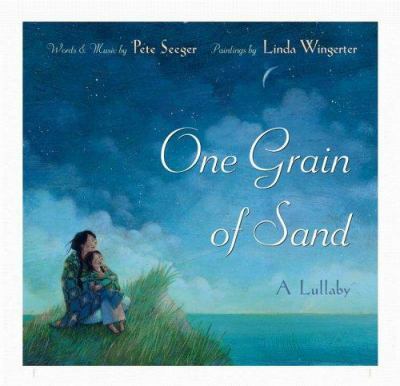 One Grain of Sand: A Lullaby, by Pete Seeger. This is a quiet song to share with your child at bedtime. You will subtly reinforce the message that we live in a fragile world, one that needs to be protected, and that all of the Earth’s inhabitants are connected as one great family. I have been shamelessly stealing this story from Mr. Seeger for years, and it is one of my favorite to tell. 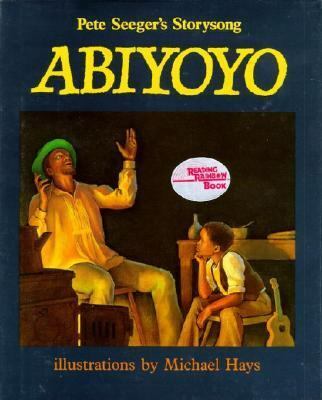 Set in an African village, it involves a young banjo-playing boy and his magician father. Together the two are regarded as village annoyances and driven from the village. (Here is a vocabulary word for everyone: ostracize. The boy and his father are ostracized, which means they had to go live at the edge of the village). However, when a mythological monster, Abiyoyo, comes to destroy the village, only the father and the boy have the secret to controlling him elevating them to heroes among the townspeople. This is a bit scary for the youngest readers, but a memorable and fun sing along for the teller to share. 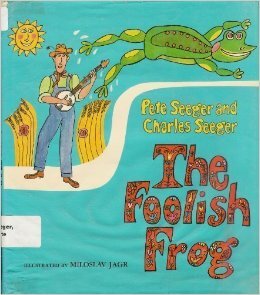 Foolish Frog, by Pete Seeger. Another tell-and-sing story as kids learn the story of the frog from “way down South in the yankety yank, a bullfrog jumped from bank to bank” and the repetitive verse sung as various farm animals. Honestly, there isn’t much point to the story, but once you get the kids singing to tune, they’ll forget everything but the fun. It helps if you have a banjo or a ukulele to plink along with the song. 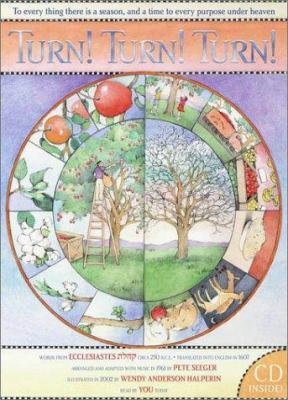 Turn, Turn, Turn: Words from Ecclesiastes Circa 250 BCE, translated into English in 1607, illustrated by Wendy Anderson Halperin. Beyond the Biblical reading of “To everything there is a season, and a time for every purpose under heaven,” there is the sheer beauty and poetry of this Biblical passage. Seeger set it to music and it has been sung by many artists, most notably Judy Collins and The Byrds in the 1960s. The pictorial interpretation in this edition is very special, dividing each verse into a circle which forces the reader to “turn, turn, turn” the page to appreciate the illustrations. Each circle is divided in half so that readers can compare and contrast the illustrations for, “A time to plant a time to sow, a time to laugh a time to weep, a time we may embrace, a time to refrain from embracing.” Of course, as a message of the time, the final verse is, “A time to love a time to hate, a time of war a time of peace, oh Lord, I pray it’s not too late.” The message continues to be relevant as the world never seems to learn the lesson of peace. 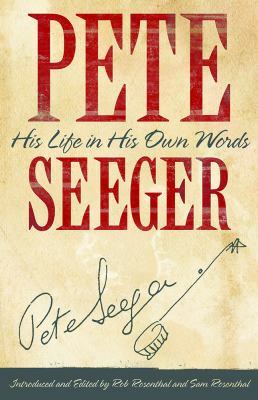 Pete Seeger: His Life in His Own Words, by Pete Seeger. This is not for children, but tells, from the pen of the man, about his early life, his political involvement, his years on the blacklist which led him to the world of children’s performance, his environmental causes, and his joyous gift of making and sharing music with the world. Of Pete Seeger, I can only say that he lived his life long and well, he fought for his causes with courage and conviction, and he sang his songs for all the world to hear. He will be remembered, and there’s little more that a man can ask of his life. So long, Mr. Seeger. It’s been good to know you. Often cooking is described as an art. Cooking also carries with it tradition. You may not know why you have to chill something before baking, but you know it is what is your grandmother always has done. But behind the art and the tradition also lies a great deal of science. If you are curious about the science behind some of your favorite foods or drinks, then these books will be a revelation. Everyone knows that wine is made with grapes, but many would probably not recognize a hops vine, if they were standing in front of one. 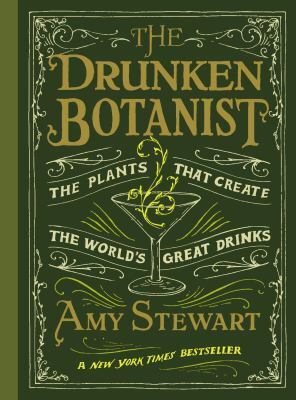 Despite my high school proficiency test telling me my best choice of career was as a botanist (librarian was only number 10), I have avoided much exploration of the science of plants but, I couldn’t resist checking out Amy Stewart’s ode to the botany of alcohol. Whether you are a foodie, a gardener, or simply someone who occasionally likes imbibing, you will enjoy this fascinating work. I read the book straight through, but my husband enjoyed skimming through it and felt it would make a good coffee table book. Part one begins with looking at distillation and fermentation and the plants that are frequently and sometimes not so frequently used in the process. She then moves on to fruits, flowers, nuts, spices, and herbs that are used to flavor the drinks. Finally part three includes items to use as mixers in cocktails. She infuses humor and interesting historical facts into the brew. Throughout there are tips on how to make cocktails with the variety of alcohols described as well as an explanation of how to grow some of the plants discussed for home brewing. If you are a fan of Stewart’s insect related works, you will be delighted by the inclusion of some insects commonly associated with the beverages including for marketing gimmick (the worm in tequila), coloring (in some Italian digestifs), or the source of an ingredient (bees making honey used in mead). Her focus is worldwide and touches on everything from rice for sake in Asia to agave for tequila in Mexico. If you would prefer to only peruse the work for your favorite libations or plants, an index is included for easy browsing. And don’t worry despite the title, Stewart is not championing excessive drinking, she encourages throughout moderation in enjoying cocktails and portion sizes. The Drunken Botanist is available at the Hoboken Public Library in print format and in ebook format from elibrarynj and ebccls. Amy Stewart is the author of several other books available from BCCLS Libraries including Wicked Plants, Wicked Bugs, and Flower Confidential. 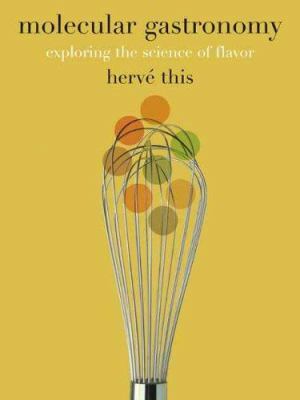 Hervé This’ Molecular Gastronomy looks at cooking from the perspective of physics and chemistry. He tests commonly held beliefs, to see what the science behind items is. The work is translated from French by Malcolm DeBevoise and there is a decidedly French focus on items such as quenelles, quiches, and soufflés. Since I was raised with French food as a staple I enjoyed this, but for non-Francophiles this might be a slight issue. But if you are adventurous, perhaps for those new to French food the work may be inspirational to try new dishes. The work is broken down into four parts with further sections that focus on a specific topic. I found myself browsing through for the topics and dishes that most caught my fancy. Part One starts with Secrets of the Kitchen and includes discussions on topics of basic cooking techniques as pertaining to things like boiling eggs and making a fondue. I had always used white wines in my fondue, but hadn’t realized that their more acidic nature over reds helps stabilize the emulsion with the wine and the cheese. Part Two is the Physiology of Flavor which covers a fascinating discussion of the evolution of taste and how the process of taste occurs physically and in the brain. It also looks at how things like taste and digestion are related. It was interesting to learn that salt both increases agreeable taste and suppresses bitter taste, and that those who enjoy spicy foods may have burned out some of their receptors to sense the food’s heat. Part Three Investigations and Models looks at how science can be used to improve culinary techniques like bread rising, lumps in sauces, and the best glasses to use for all wines (narrow bowled glasses of the type more commonly used for white wines). It also explores how science can explain regional difference in things like Iberico ham and cheeses (helpful if you’ve ever wanted to justify to yourself on splurging on an expensive import). Part Four A Cuisine for Tomorrow includes areas for further development such as new methods of heating food and cooking in a vacuum. A helpful glossary is included, but the section for further reading may be limiting to American readers since many of the articles listed are in French. Molecular Gastronomy is available from BCCLS libraries in print and as an ebook from elibrarynj. Kitchen Mysteries: Revealing the Science of Food by Hervé This (translated by Jody Gladding) is also available from BCCLS in print. If you are intrigued by the topic of molecular gastronomy and would like to learn more you should check out Modernist Cuisine: The Art and Science of Cooking by Nathan Myhrvold, an epic six volume work or Myhrvold’s more compact one volume Modernist Cuisine at Home. Both are available from BCCLS Libraries. Adults don’t have to be the only ones to explore the science behind food. 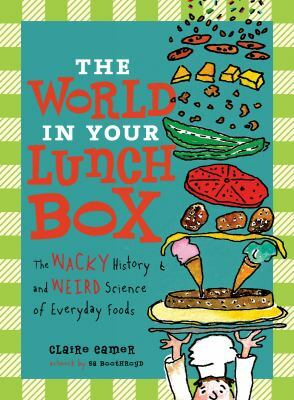 Claire Eamer’s The World in Your Lunch Box allows kids to learn more about what they eat. The book contains fun and bright illustrations by Sa Boothroyd. This book would be appropriate for kids around grades 3-6. The book is broken down into seven sections based on the days of the week with different food kids love on each day including pizza, hot dogs, bananas, ice cream and more. It ends with dessert (a top 10 food facts list). Kids will learn interesting science facts such as watermelons are more than 90% water and have a thick waxy rind that helps them from becoming dried out. I even learned some interesting facts myself such as my favorite spice cinnamon can reduce people’s blood sugar levels. Amongst the science facts are historical tidbits and jokes your kids will enjoy. An index at the back allows kids to find their favorite food fast and Further Reading and Selected Biography selections will give kids and parents more to chew on. The World in Your Lunch Box along with several of Eamer’s other works are available in print from BCCLS libraries.